E-Books + Kindle + Sony E-Reader + iPAD = The death of books? Back in the early 1960s, Marshal Mcluhan probably didn’t know just how prophetic he was being when he coined the phrase “The Medium is the Message”, talked about how technology would shape “the global village”, and mused over the effects new technologies – including the printing press – have had over the way we think. Although it’s often misinterpreted, the truth in that first famous statement is even more evident today – that the form and nature of the “Medium” embeds itself in the “Message”, creating a relationship by which the medium influences how the message is perceived. Saying something with a smile on your face in front of someone can be taken in a whole different way via email or posted on Twitter or Facebook! So it goes for the consumption of music, or the consumption of the written word in “books”. The music industry has been going through a seismic shift in the last few years that has seen an end to most giant retailers, and caused panic across the industry. How can we make as much money as before? How can we stop kids just “stealing” our product? The same effects and reactions are now being seen in the publishing world. With my own first book “The Knitter” published this year, and seeing first hand how the industry was changing, made me think again about McLuhan. I asked myself three questions. Are we getting confused between the medium and the message? Will the digital world mean the death of the great album, or the classic novel? In the long run, will the nature of the medium change us, and maybe even what we are capable of consuming? First some data. In the first half of this year, there were almost twice as many physical books sold than e-books in the US, and five or six times as many in other parts of the world. So much for the death of the novel? But wait – most predictions say that at least in the US, e-Book sales will outstrip printed books by the end of 2011, with the rest of the world following suit not long after. There are plenty of positives in this – prices for books will tumble, convenience and access to the written word will get easier, and maybe most exciting of all, it has already become easier to publish, and so writing is likely to become more democratic with many more writers being encouraged to put pen to paper – or fingers to keyboard! 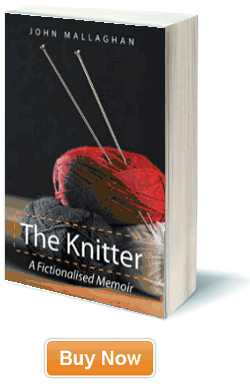 My own first book, “The Knitter”, was published simultaneously in print and e-book formats. One big downside should not be forgotten though – making it easier to publish makes it easier to publish rubbish! With volume comes quality control issues. That does not refer to “The Knitter” of course! So what about those three questions? I think too often the arguments do get confused between the medium and the message. I still own hundreds of vinyl albums, some of which I also taped on cassettes I still own, moving on via a short sojourn with mini- discs I am now the proud owner of a thousand or so CDs, all of which are now digitised. As I type this blog, I am listening to the Stones Exile on Main Street on my PC – which I own on all aforementioned formats. Leaving aside the fact I should never have been forced to give Mr Jagger some of my hard earned cash multiple times, I can safely say it is still one of the great albums of all time, whatever the “medium”. Although I have to say I still think it sounds best on vinyl. Will the digital world spell the end for the great novel or the classic album? It won’t be the end for either – but this is where I start to get just a little worried. The ways that young people are consuming music today has made it a much more transient exercise for many. The same can be said for the written word. That doesn’t mean no-one is making great music or writing great books; it does mean the cultural importance of the “book” and the “album” is diminishing, and the act of surfing through information, dabbling in music, and a mass media driven from the basic assumption of short attention spans, are all becoming the norm. That bring us to one of McLuhan’s key points – is the nature of the medium affecting us in ways we might not yet understand? That’s an easy one – yes of course it is. And there’s little doubt over time this will result in some permanent changes in how we think, how we interact, how we learn, how we “read”. The important question is – does this mean things are “getting worse”? E-Books + Kindle + Sony E-Reader + iPAD = The death of books? That was the question posed in the title of this post, and the answer is -only if we let it happen. Great books do not come from great devices. They come from great authors. The printing press fueled an explosion in the written word. The combination of the web and electronic publishing has fueled an even bigger explosion. Although I am personally always going to prefer the physical feeling of reading owning “books”, and will always want a library at home with actual printed copies of books I love, I know this will be married to the convenience of e-readers and heading off on holiday with 100 books in my pocket. But surely there is something about the medium of the printed book that brings the depth, the uniqueness, the “special” nature of a favorite novel that an invisible string of bits inside a Kindle never can? That’s why we should remember McLuhan’s words – the medium may not be the message, but it does effect how we interpret it, how we consume it and in the end how we perceive it. And that’s what we have to be wary of – if we let the short term, the “easy”, the dipping in and out, the surface skimming that new media drags us towards dominate too much, then we could really see quality being squeezed out to the periphery. We have to make sure great authors are not lost in the fog of mediocrity; making writing and publishing easy does not make everyone a great writer. Ever the optimist, let me finish on a positive note. At a recent Apple launch, Steve Jobs noted that “kids don’t read books anymore!”. Well, not for the first time, Mr Jobs has gotten it badly wrong – or at least he has put it in a way that puts helping the Apple share price above all else. I think what kids are actually doing is something their parents, and Steve, get wrong too often – they are not confusing the medium and the message; they are just starting to consume books in different ways. What we must do is make sure that this and the next few generations aren’t molded by new media into habits & social activities that make the writing and consumption of complex, multi-layered novels more and more difficult. But as McLuhan understood, what if they end up creating something even more exciting and challenging? Maybe both good and poor quality can multiply at the same time. What if his “global village” starts to create new forms of the novel together. What if the answer to the equation is that we spawn a new sort of creativity, without giving up the old way? What if the next “Great American Novel” is written by 100 great novelists sparking off each others creativity? What odds for a Pulitzer Prize being won by a “Wiki – Novel” in the next ten years? Maybe even one that keeps on growing, and changing, with new authors popping up all of the time, and constantly surprising readers long after it wins. Don’t bet against it. I am developing a blog and I am trying to find a new template.Yours looks pretty decent! You could visit my website and tell me your opinion! When i visit a blog, chances are that i get disappointed. On the contrary,I have to say that you have done a good job here. I’m still learning from you, as I’m making my way to the top as well. I definitely enjoy reading everything that is written on your blog.Keep the posts coming. I enjoyed it! 2011 Happy New Year! An awesome share, I just passed this onto a friend who was doing a little analysis on this. And he in fact bought me lunch because I discovered it for him.. smile.. So let me reword that: Thank you for the treat! But yeah Thank you for spending the time to talk about this, I feel strongly about it and love learning more on this topic. If possible, as you become expertise, would you mind updating your blog with more info? It is very helpful for me. Two thumb up for this post! Hello, did you know your webpage was linked to from the Digg homepage? Hello, did you know your webpage was linked to from the Digg website? 2. Good work over again. Thank you! An cool blog post right there mate . Thanks for it ! I’ve been looking online for the last four hours for material such as this. Many thanks a lot for finding the time to publish this informative piece. Your web page is one that i had definitely bookmarked. Bertrand Russell~ Man wants for his happiness not merely the enjoyment of this or that but hope and enterprise and alter. I would like to thank you for the efforts you have made in writing this article. I am hoping the same best work from you in the future as well. I loved your style I will register for your feed please keep posting! 2. Awesome article over again. Thanks! Good Afternoon, did you realise your webpage was linked to from the Stumbleupon website? It’s really a nice and useful piece of information. I am glad that you shared this useful info with us. Please keep us informed like this. Thank you for sharing. I love books. But this posting is alternating my thought. Thanks for the article. Great day! Initial off, I apologize since this can be kind of off subject but I require some suggestions from an set up blog just like you. Is it quite difficult to setup your own weblog? I am not very specialised but I’m able to figure points out fairly rapidly. I am pondering about creating my very own but I’m not sure exactly where to start. Do you’ve any suggestions or ideas? Cheers. Thanks so much for helping me out. I found your site – http://www.theknitterbook.com/e-books-kindle-sony-e-reader-ipad-the-death-of-books – on Digg today and thought I’d check it out. I bookmarked it and will come back to check on some more posts later. I ve recently started a blog, the info you offer on this website has helped me tremendously. Thank you for all of your time & work. “Americans detest all lies except lies spoken in public or printed lies.” by Edgar Watson Howe…. Wow, amazing blog layout! How long have you been blogging for? you made blogging look easy. The overall look of your website is wonderful, let alone the content!. Thanks For Your article about E-Books + Kindle + Sony E-Reader + iPAD = The death of books? . Previous post: The only worthwhile legacy? Memories…….